Technology led change is impacting every aspect of the London market value chain as organisations look to increase efficiencies and improve the client experience. Robotics, AI, mobile platforms, real-time risk pricing and Blockchain are driving technology enabled modernisation. Digital technologies coupled with advanced data and analytics are transforming traditional systems and processes. 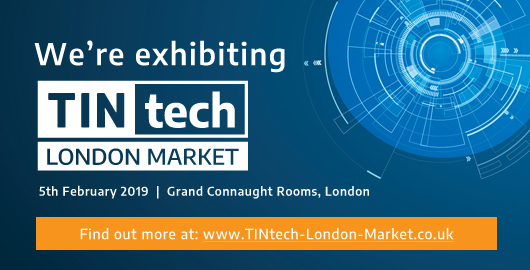 TINtech London Market explores how technology is both driving these changes and providing the innovations to enable new business processes and solve business challenges – both now and in the future. Join us for breakfast and the latest insights from industry professionals on the opportunities and threats posed by just some of the major regulatory initiatives. At first glance these may appear to be on the distant horizon but actually we need to focus now. Will some jurisdictions make failure to comply a legal offence? Where can we see ambiguities and how can they be resolved? Does the code go far enough? Will it be updated to end fixing through last look and set a common market standard for TCA? How can market participants and regulators collaborate to ensure compliance? Eurobase is delighted to be taking its place among industry leaders at the largest and most important event in the global reinsurance calendar from 8th-13th September in Monte-Carlo. Contact us today to meet with the Director of Insurance, Rebecca Oliver. TINtech is the technology strategy event focused on HOW to enable effective business processes, deliver operational efficiencies and drive customer focused innovation across your organisation. The London ILS Conference is a must attend event within the industry featuring informed debate and invaluable networking during the exclusive drinks reception. - Florida after Irma - will rates continue to adjust in the mid-year grenewals? The Markets in Financial Instruments Directive (MiFID) Trax Forum is designed to provide an opportunity for open discussion and debate amongst senior market practitioners from compliance and operational areas in member firms on issues affecting the international capital market. The time for talking will soon be over and MiFID II will materialise in its regulatory form, MiFIR. Life under such a transformed regulatory framework will undoubtedly be uncomfortable for a while and is sure to present new challenges. After so much debate, confusion and conflicting guidance what can be learnt? Find out what our panel of industry practitioners, had to say on some of the surprises uncovered so far, in order to ensure that your transition is as smooth as possible. Eurobase is delighted to be taking its place among industry leaders at the largest and most important event in the global reinsurance calendar, Les Rendez-Vous de Septembre, from 9th-14th September in Monte-Carlo. Book your place today to meet with the Director of Insurance, Rebecca Oliver. Fintech Week is a series of conferences, exhibitions, workshops, hackathons, meetups and parties. Each day we focus on a different topic. We always ensure that there is plenty of time for networking and meeting other innovators. With Cyber Security constantly in the news recently, we thought it was about time we hosted our own free event and help people to understand "Why Every Business is a Cyber Business". We are bringing together the CyLon community to connect and discuss how organisations can minimise the amount of risk their digital business takes on a daily basis. Cyber is a growing concern for organisations. It is a risk now on the agenda of Boards, with the rapidly developing and expanding cyber risk landscape, the ever increasing awareness of incidents and the high profile media coverage that can follow. It can, however, also be an area of confusion for organisations. The UK’s leading event for IT Service Management and Support professionals. Whether you have been tasked with adopting agile methods, improving cost efficiency, or building team productivity, a visit will give you the tools to make your IT operation work smarter. InsiderTech London will shine a light on the potential of InsurTech in the wholesale (re)insurance market and bridge the gulf between the traditional industry and those upending the business. The event will bring together luminaries of the (re)insurance, technology and start-up worlds to discuss the challenges facing the industry, and how technology can help to address some of our greatest problems. The 56th World Congress will be held in the internationally acclaimed Convention Centre Dublin. Offering a great opportunity to network with key decision makers and noted speakers from governments, regulatory authorities, central banks and financial institutions. Including our very own David Woolcock - Director, Business Consulting. Eurobase will be exhibiting its customer-centric Treasury Front Office and eSolutions at the International Banking Conference 2017 hosted by the Association of Foreign Banks on 10th and 11th May in London.